Norway’s foreign policy institute known as NUPI was the target of a hacking attempt this autumn that was halted by state authorities. The attack could have allowed the hackers to manipulate reports by NUPI’s researchers. 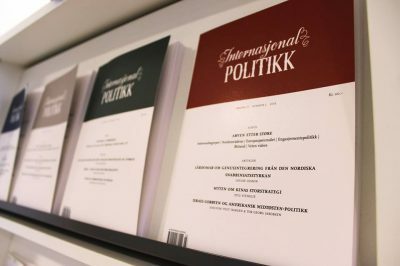 NUPI (Norsk Utenrikspolitisk Institutt/Norwegian Institute of International Affairs) is one of Norway’s foremost research organizations that often advises government and other top public officials, along with offering analysis and educational services directed at Norwegian schools. NUPI has around 80 employees, many of them high-profile and highly educated scholars along with guest researchers from abroad. NUPI specializes in communication about international affairs, especially those of relevance for Norway, and on Wednesday newspaper VG reported that it had come under an attack on its computer systems. Norway’s police intelligence unit PST (Politiets sikkerhetstjeneste) and Norway’s national security agency NSM (Nasjonal sikkerhetsmyndighet) both confirmed that an unspecified foreign intelligence agency tried to break into NUPI’s computer network this autumn. Officials at PST and NSM told VG that they worked with officials at NUPI to halt what they called a “serious break-in” that could have given outsiders an opportunity to plant false information or manipulate reports from NUPI’s researchers. The researchers deal in a wide spectrum of issues from security and economic policy to diplomacy, conflict resolution and human rights. Several specialize in Chinese and Russian relations. VG reported that PST and NSM discovered “foreign interest” in NUPI’s computer systems as early as last spring, but that an attack wasn’t actually launched until October. That’s also when Norway’s TV2 reported that PST believed a “Russian intelligence offensive” was underway, with attempts to plant moles in unspecified Norwegian operations. Among them was an alleged effort to get Norwegians to spy on their own employers. PST had itself reported in January that that it expected foreign intelligence entities to try to carry out “disinformation campaigns” in Norway. Russia and China have been identified as posing among the biggest threats, while both have been alleged to have tried to influence the Norwegian Nobel Committee or infiltrate its computer systems. Hans Christian Pretorius, leader of cyber security at NSM, didn’t want to got into details about the attack on NUPI but he confirmed that there was “great interest” among various “foreign players” in the computer systems of Norwegian organizations and state agencies. Åsmund Weitzien, communications chief for NUPI, confirmed such interest. “We can’t be sure what those behind the attack were out to get, but we see from other countries that think tanks and research communities are interesting targets for intelligence agencies,” Weitzien told VG. The newspaper reported that if the attackers had succeeded in gaining access to NUPI’s publishing systems, they could have gained the possibility to edit content in published reports and news articles. They also could have planted false information via the institute’s newsletter, which is sent out to a wide variety of official and media outlets. Just this week NUPI published a podcast (in Norwegian) that addresses the problem of propaganda and fake news. The podcast features NUPI researcher Malin Østevik, who has conducted research on Russia’s “strategic communication” directed at Europe. NUPI, which offers a website in English as well as Norwegian, is also hosting its annual “Russia Conference” on Friday that’s sold out after attracting hundreds of participants. A speech by senior NUPI researcher and PhD Julie Wilhelmsen held before a high-level military community last month was also published this week. Wilhelmsen, who often takes part in public debates in Norway, is among those specializing in Russian foreign- and security policy along with radicalization of Islam in Eurasia.